Charlie and Anita asked me to do an inspection on their home. When compiling my report I noticed the water damage on the lower sections of the roof. 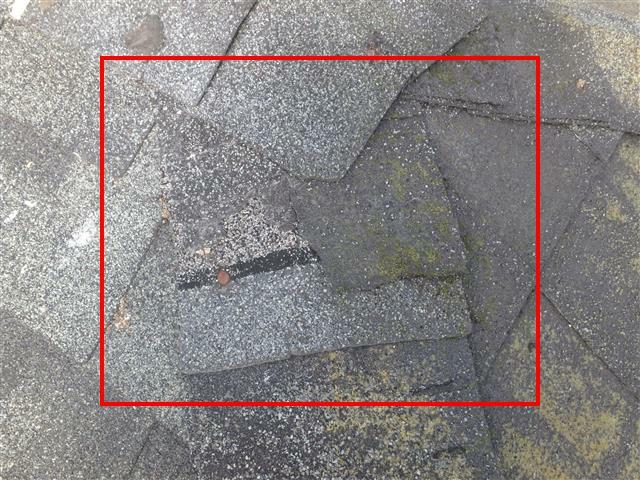 The photos clearly show the damage that can be done to your home if proper drainspouts are not put installed. This arrangement increases the amount of water on the lower roof surface in a concentrated area below the downspout. 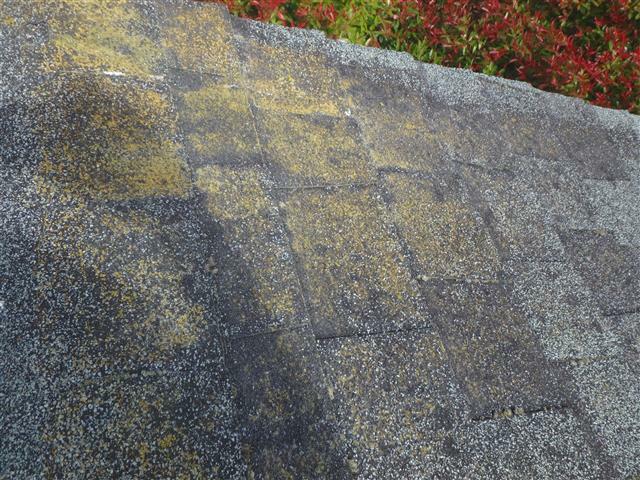 The roof covering below the downspout wears out much faster than the rest of the roof and repairs are required. The solution is a very inexpensive piece of downspout to carry the water to the lower gutter. The roof covering is old, and the life of covering has expired. The covering does need to be replaced. 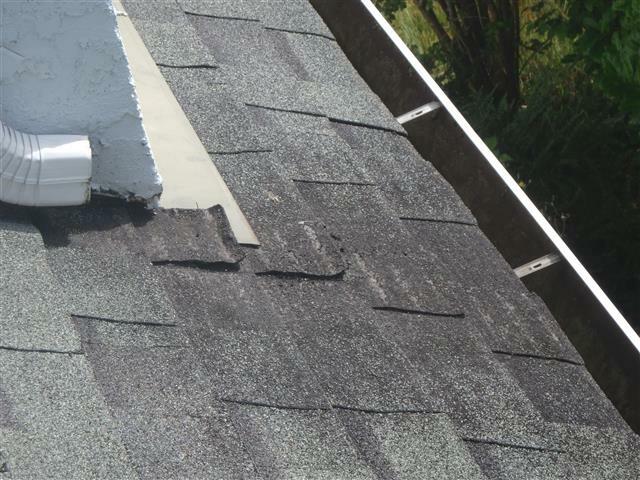 While it could last a year or so, some areas may need patching as leaks develop. There are large areas that have seen significant granule loss. 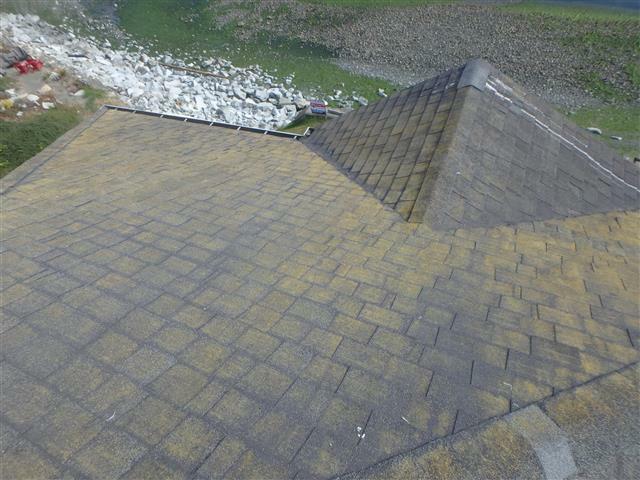 This exposes the shingles to UV rays and greatly diminish the life span of the roof covering. 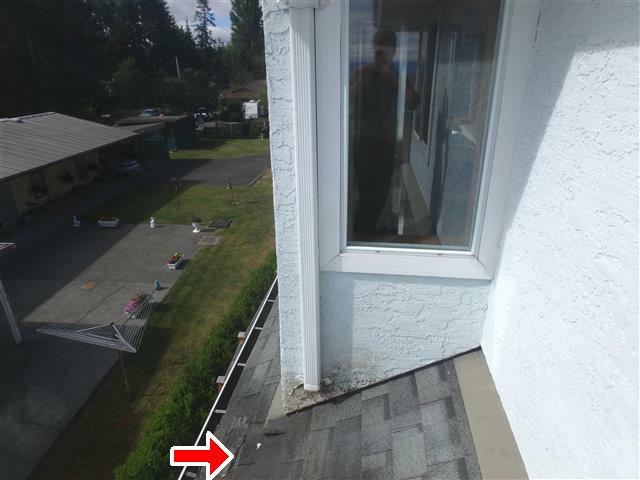 There are 4 downspouts that are discharging onto the roof covering. This is an improper installation. 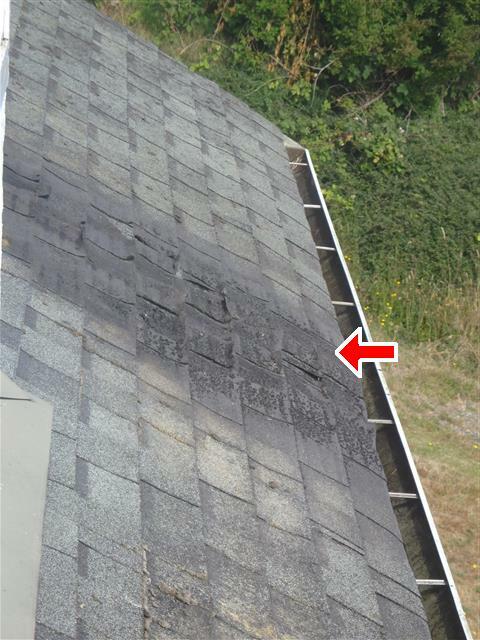 The downspout discharge has damaged the roof covering in these areas and should be repaired immediately. The area that appears to be damaged the most is on the East side of the house and there is evidence of water staining the soffit material. This indicates water penetrating the roof system and damaging the sheathing and there could be some structural implications. A qualified contractor should be contacted immediately to assess and repair as needed. 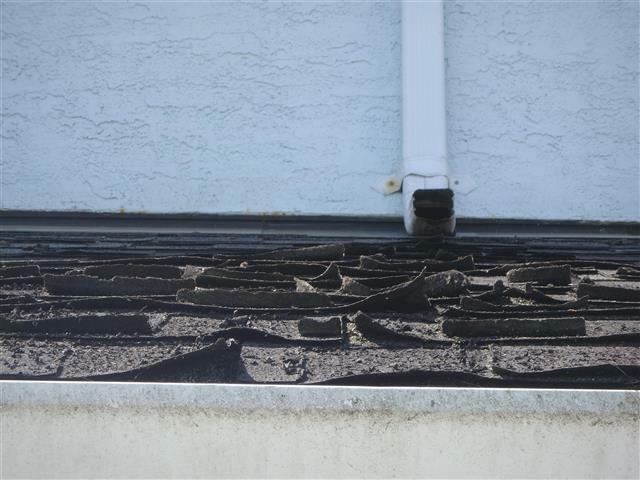 Please contact me if you have concerns about water damage or the condition of your roof.